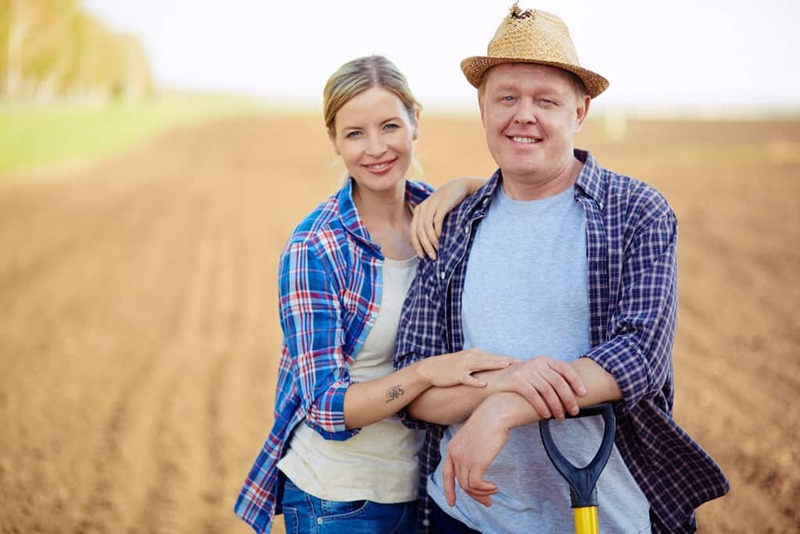 Is Homesteading Making You Happy? 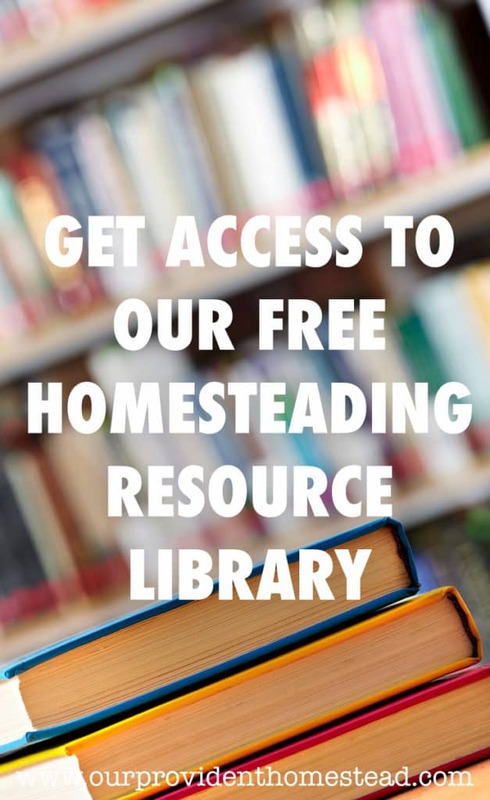 So you’ve read all the homesteading blogs and Facebook pages. You see these pretty pictures of cute chickens and goats roaming free and loving your family. You see happy homeschooling moms teaching their children how to cook in the kitchen and picking eggs from the chicken coop. Fast forward 1 year. You have your farm, animals and large garden. It is everything you dreamed of and it looks like an ideal life. But in reality, you “free range chickens” are pooping all over your porch, your rooster attacks anyone who tries to get in the coop, and your goats keep getting out of their pins. You garden is full of weeds and the freezer that is preserving your food just went out. You aren’t happy. You feel overwhelmed and burned out. You just want to go on vacation and not come back. What happened? How did you get here? Wasn’t homesteading supposed to be fun and rewarding? Now let me tell you-homesteading can be hard. There is mud and poop, death and failure. There are days where you just want to give up because rabbits ate your garden or a fox came in and ate your chickens. These are homesteading realities that you will encounter if you do this life for any length of time. 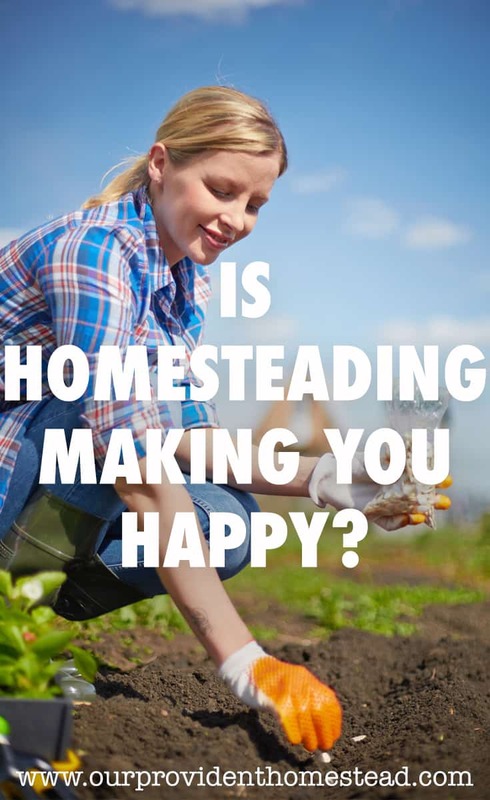 Does Homesteading Make You Happy? On a normal, average day do you feel like this life you have chosen is worth it? 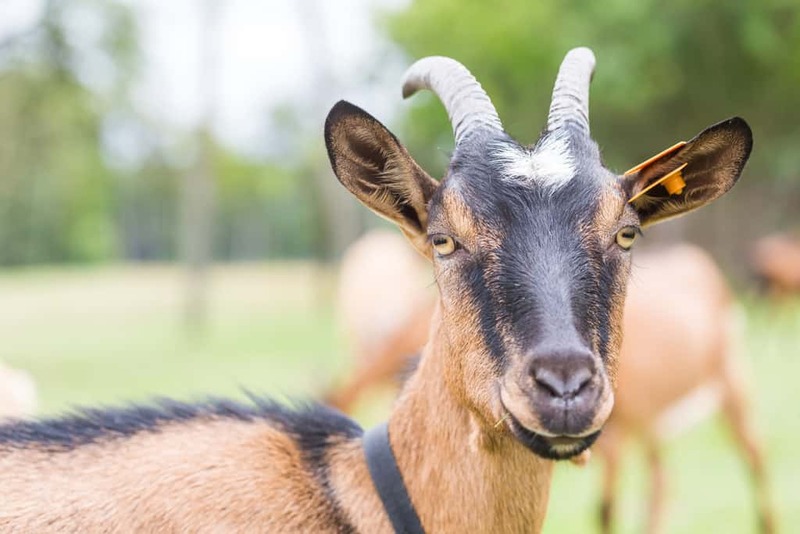 Do you enjoy raising animals, growing food in your garden, or having a pretty line of newly preserved jars in your pantry? When you look over the whole of your homestead, do you see success? Take it slow-when you start homesteading, you want to do everything at once. Don’t! Add one skill at a time until you master it and then move on. Start with 4 chickens or a small garden box or cooking real food. Trying to do everything will leave you frustrated and possibly broke. Only do what brings you joy, especially in the beginning-If you don’t like squash, don’t plant squash even though it is easy to grow. If you are scared to death of chickens, don’t raise chickens. Grow something you like to eat and buy eggs from a local farmer. By choosing something that you like, you are more likely to grow that skill. Then later, maybe you can try something harder and you might find it wasn’t so bad after all. Research your next step before you take it-you’ve decided you want a milk cow because the idea of raw milk sounds amazing. That’s great, but do your research first! How much land does the cow need? How often does she need to be milked? How much do the tools cost for milking? How often do you have to breed her to keep milk coming? If you just bring home a milk cow without finding out these answers and more, both you and the cow may be frustrated and disappointed. Take a break if needed: Some people say the perfect life is the life you don’t need a vacation from. I understand the concept, but sometimes you just need to get away. Let grandma take the kids (and the chores) for a weekend while you and your spouse go out of town. Let a neighbor take care of the chores and take the whole family camping for a couple of days. Whatever it takes, sometimes taking a vacation helps you realize the blessings you have back at home. 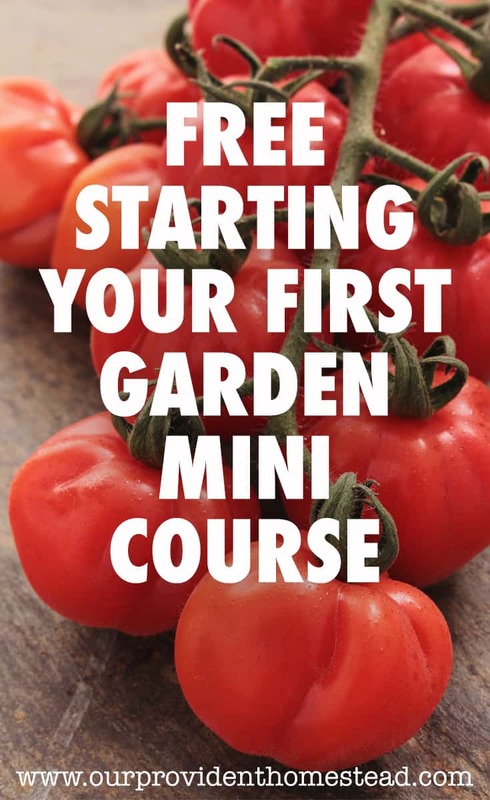 I don’t say these things to discourage you from getting started in homesteading. I think it is a wonderful life and a great way to raise a family. Homesteading teaches the whole family about where their food comes from, the “birds and the bees”, and how wonderful it feels to see the result of hard work. But in order to be happy at homesteading, you have to know your limits. You have to know that you will have bad days and failure. But the sun will rise again and you can try new ideas to make things better. Sometimes you just have to step back and see the big picture. Sometimes you just have to sit on your porch and watch the sunset and realize that being a homesteader is a lifestyle that is rewarding and hard at the same time. The secret to being happy as a homesteader is to know that some days will be hard but you have chosen this life to make a difference for your family and your community. You have to know your limits and be aware of your blessings. Hopefully these 4 tips will help you reevaluate your homestead and see what you can do to stay happy in your homesteading journey! 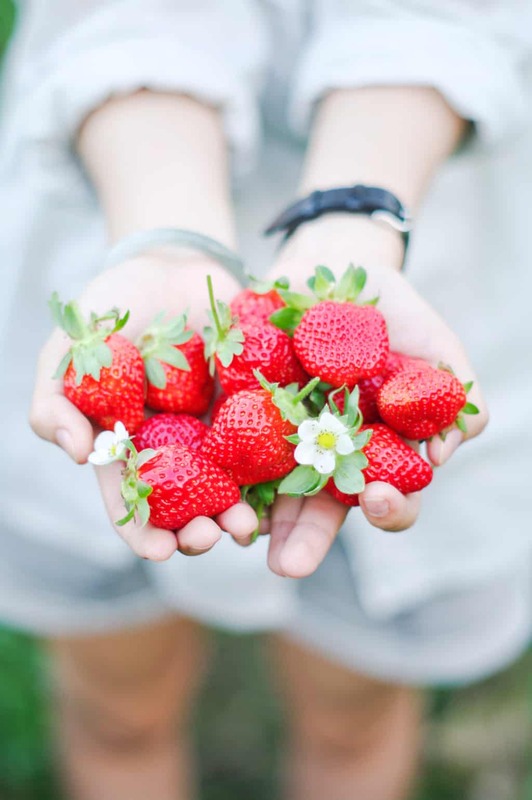 How do you stay happy in homesteading? Please let us know in the comments below. And if you found this post helpful, please share. Thanks!